If you like to have a light handy where ever you go then come check out this Mini USB LED Light. The LED light has two nice LED’s that give your the light you need when you plug it into a USB port. So you can have light when you put it into your laptop, USB charger, or even a power bank to be super portable. You can use these fun light for fun projects too as they are cool to make into a nightlight or maybe to have inside your computer to bring light to the outside. And this mini LED light comes in a set of 5 and they are super cheap and even have a hole for hanging it on your keychain. 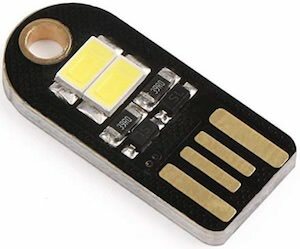 Come and check out more info about this Mini USB LED Light. If you have problems with keeping your phone charged and with pests? This pest control device is also great for charging your phone. 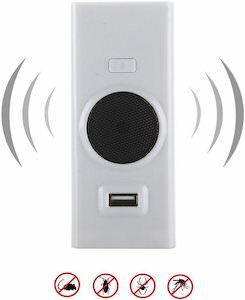 It is a plug-in ultrasonic pest control that just plugs into a power socket in your home and you don’t have to worry about yourself and your dogs and cats as you can’t hear it. It is great for keeping mice, ants, roaches, spider, and mosquitoes out of your home. The pest control also has a USB port on the front so that you can charge your devices and there is a blue nightlight build into and on even a loop through power port so that you can still use the socket while it is keeping the pests out. Come check out this Ultrasonic Pest Control Charger.